It was on 10th September 2018, Malayalam channel Asianet aired the first episode of serial Seethakalyanam. 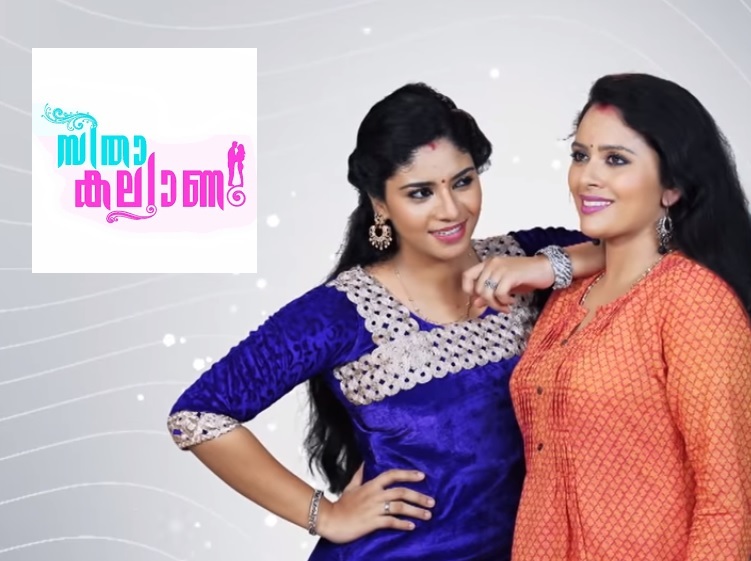 This prime time serial is actually the Malayalam version of Lakshmi Kalyanam, a Telugu language serial aired by Star Maa TV. The serial belongs to genre family drama. Dhanya Mary Varghese, also a film actress, plays the title role ‘Seetha’. The serial is aired on all weekdays at 9:00 PM IST. The re-telecast of episodes is aired at 4:50 AM and 1:00 PM IST on all weekdays. Due to its popularity and success, the serial has been remade to many languages by the star network. The Tamil version is named ‘Lakshmi Kalyanam’, which is aired by channel Star Vijay. Star Jalsha is airing its Bengali version under the name ‘Mayar Badhon’. When it comes to Hindi, the serial is named Jiji Maa and aired by Star Bharat. Seetha Kalyanam is broadcasted from Monday through Friday at time 9:00 PM. No problem if you miss the telecast at prime time. The serial is also re-telecasted at noon 1:00 PM and at 4:50 AM (early morning). The protagonist or the pivotal role of ‘Seetha’ in Seetha Kalyanam is played by Dhanya Mary Varghese. ‘Dhanya Mary Varghese’ is not a new face to Malayalam audience. She is an actress who has appeared in many Malayalam films. The antagonist role Rajeshwari is played by Roopa Shree. She, in the serial is the mother-in-law of Seetha, the central character. You can watch Dhanya in Malayalam films Kerala Cafe, Pranayam, Thalappavu. She also played as the female lead in the movie ‘Karayilekku oru Kadal dooram’. Seetha Kalyanam is actually a comeback for Dhanya Mary Varghese to acting after a long period. She is a good dancer too. Seetha is a girl who lives with her sister, Swathi. For Seetha, her sister is everything. She loves her sister so much that she is ready to sacrifice anything to take care of her sister. The sisters only have themselves as they have lost their parents at an early age. The antagonist character Rajeshwari played by Roopa Shree, is the mother-in-law of both Seetha and Swathi. Seetha is married to Kalyan, the elder son of Rajeshwari. Swathi is married to younger son ‘ Ajay ‘. The story is centered around the love between the sisters and how they both resist or overcome the problems created by their mother-in-law.